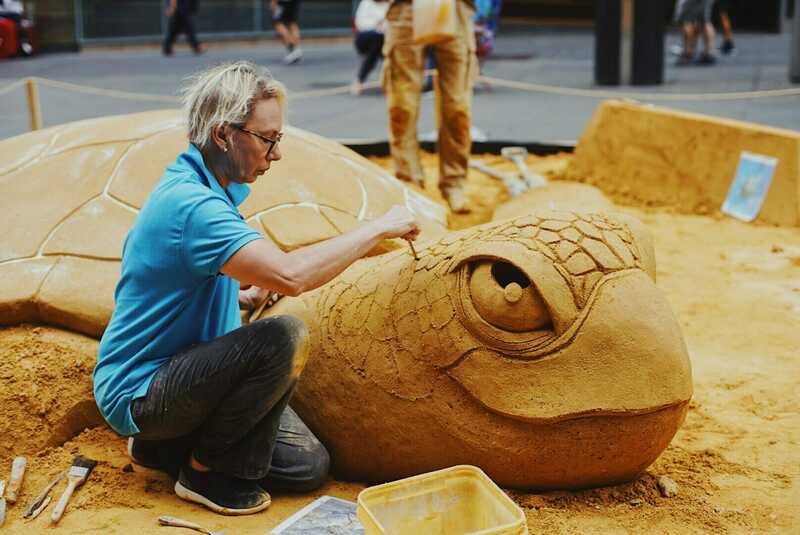 SEA LIFE’s beloved Myrtle the Turtle was the star of a very special exhibition in Martin Place last week from the 23rd – 25th January. But she was a lot bigger than usual. And she glowed in the dark. Made entirely of recycled sand, three talented sculptors worked for a twenty hour period to build the 10-tonne sculpture. Inspired by the much-loved rescue turtle from Day and Night on the Reef, commuters watched as the fascinating exhibit came to life. Myrtle was rescued in 2013 by Manly Sea Life Aquarium after a boat strike. 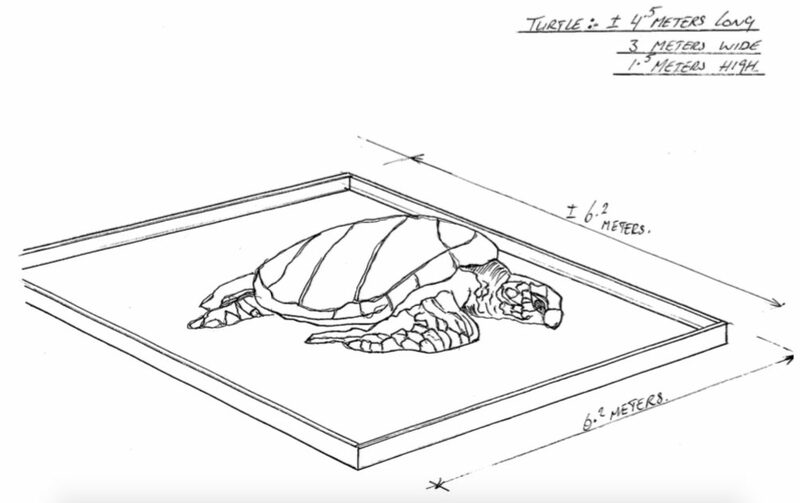 The accident resulted in buoyancy issues, the air bubbles in her shell making it difficult to dive. Since then, the SEA LIFE team have attached three metal plates to her shell which allow her to swim with ease. A whopping six of the seven sea turtle species are currently classified as threatened or endangered. And unfortunately, this is all due to human actions and lifestyles. 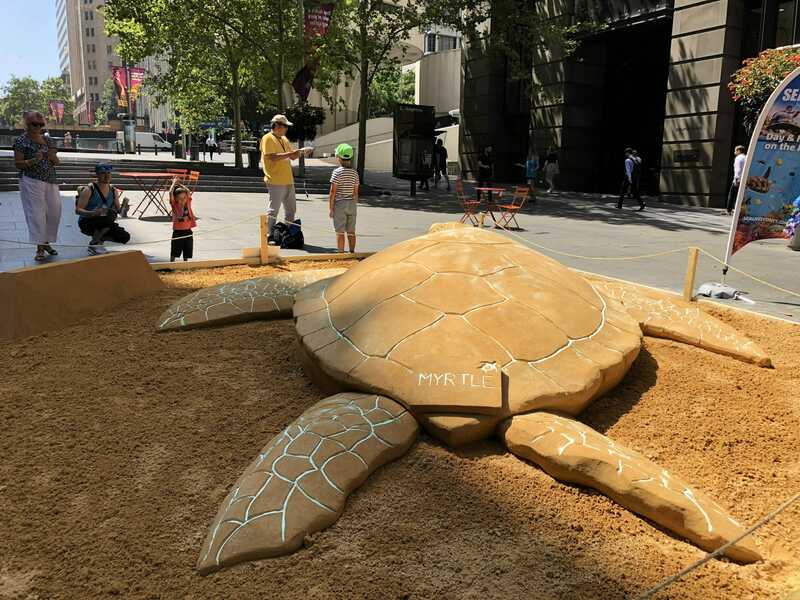 The new ambition to raise awareness and funds for endangered sea turtles was officiated last Wednesday in Martin Place, and was completed on the evening of Thursday 24th. 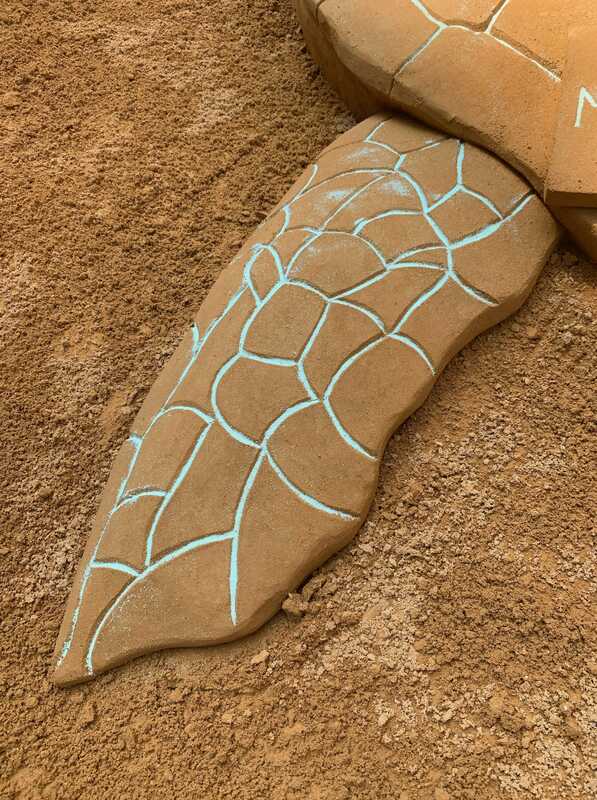 The final sand sculpture was 4.5m x 3m and was adorned with fluorescent sand. Thursday night’s visitors saw the turtle light up Martin Place. “We’re so fortunate in Australia to have some of the most beautiful beaches in the world, but sadly plastic pollution and threats including fishing nets are still a major issue for endangered animals, including turtles,” SEA LIFE Sydney’s General Manager Richard Dilly says. While Myrtle’s sand sculpture was a short-lived exhibit, SEA LIFE’s Day and Night on the Reef is currently on display. The interactive exhibition takes guests on a journey through the mysterious Great Barrier Reef after nightfall. It includes an interactive bioluminescent beach and the rare phenomenon of coral spawning. 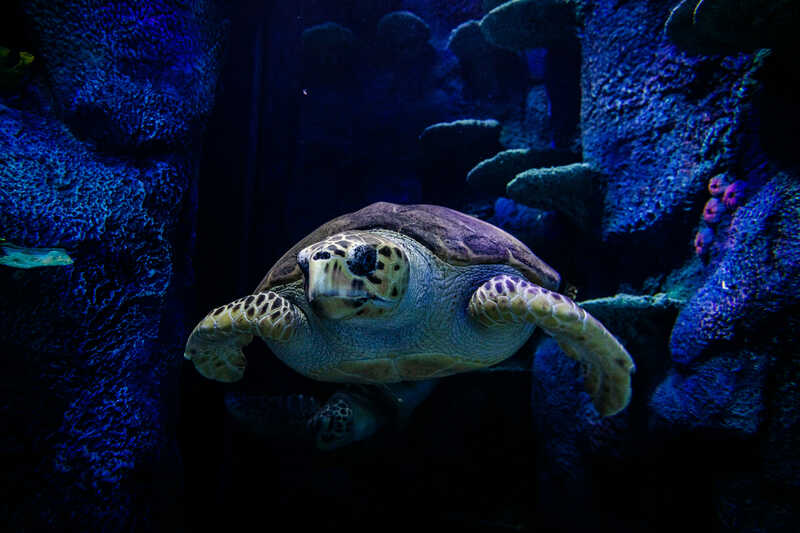 For more information on Turtle conservation head to the SEA LIFE website, or visit Myrtle at her Darling Harbour home. 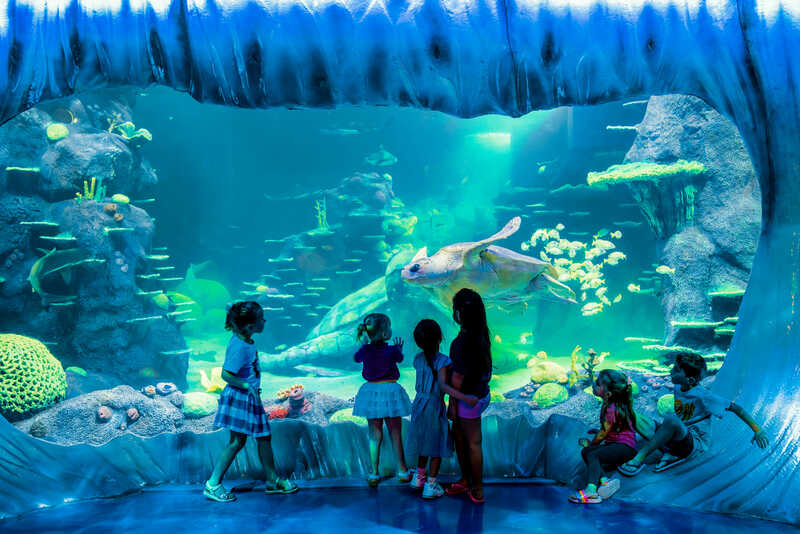 Use the code GIANTTURTLE online to receive a 30% discount on any child or adult full priced ticket.